Michael ‘Jim’ Delligatti, the man credited with creating the Big Mac, passed away on Monday at the age of 98. 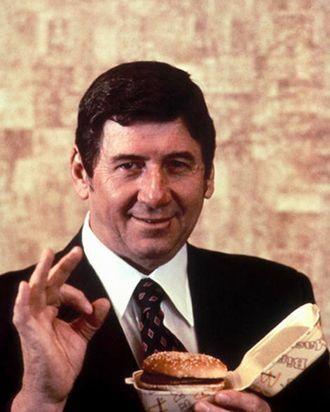 The longtime McDonald’s franchisee created the burger — now synonymous with the brand — almost a half-century ago in 1967 during the heyday of the Golden Arches. He reportedly developed the special sauce himself, and overcame what he called a “very cautious” corporate hive brain and resistance to the double-split bun to get the burger on the market. After the Big Mac became a runaway success at Delligatti’s 47 franchises, McD’s took it national and gave him a plaque. McDonald’s eventually helped Delligatti open a shrine to his creation, the Big Mac Museum Restaurant.